6 Question : What is the penetration ? 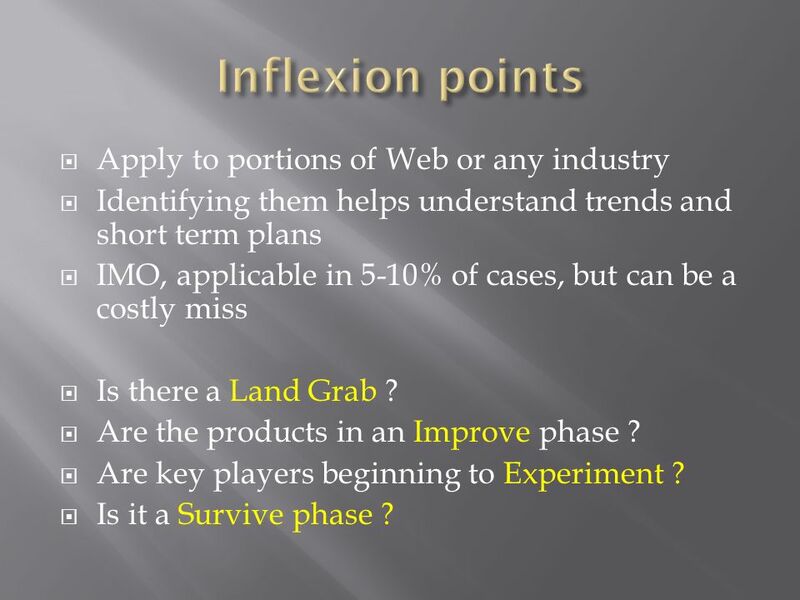 Identifying them helps understand trends and short term plans IMO, applicable in 5-10% of cases, but can be a costly miss Is there a Land Grab ? Are the products in an Improve phase ? Are key players beginning to Experiment ? Is it a Survive phase ? 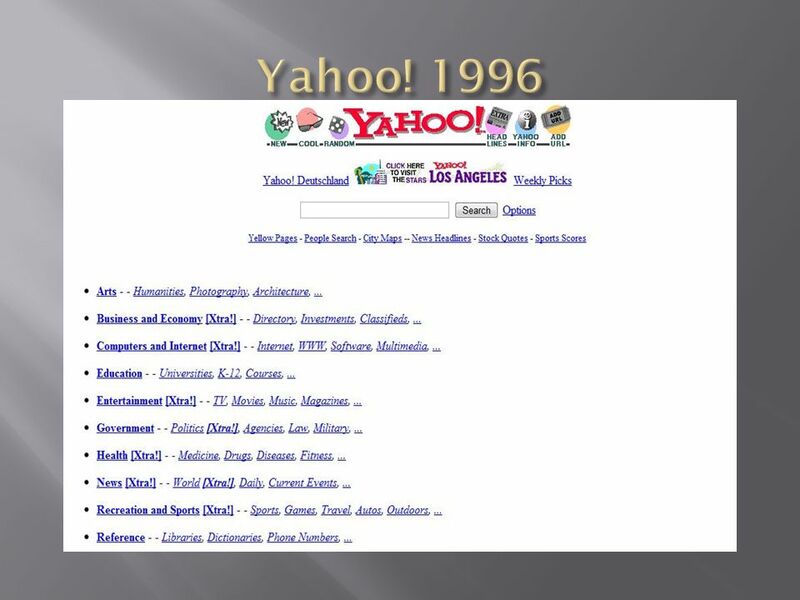 Web was spreading as a quick, cheap way to get information People quickly wanted products to try out on the web Yahoo!, Excite, Lycos, Infoseek and others launched thousands of products in 18 months. 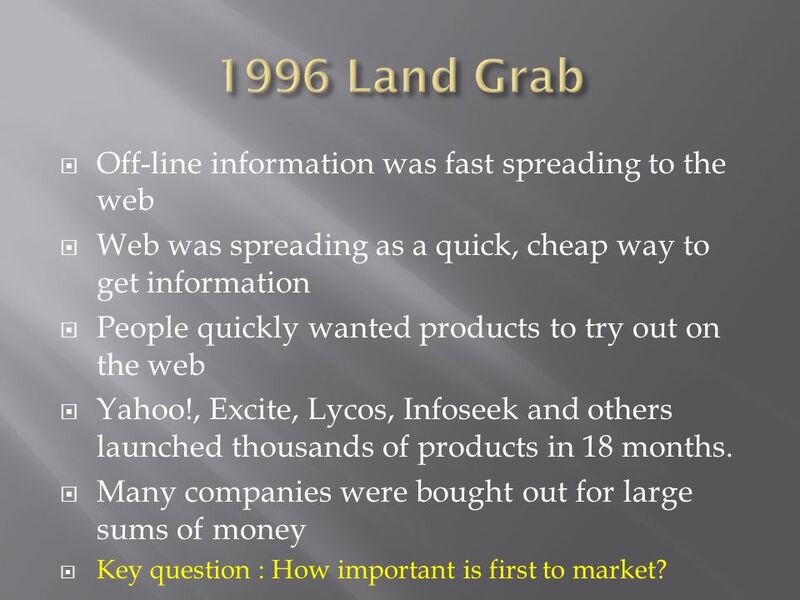 Many companies were bought out for large sums of money Key question : How important is first to market? 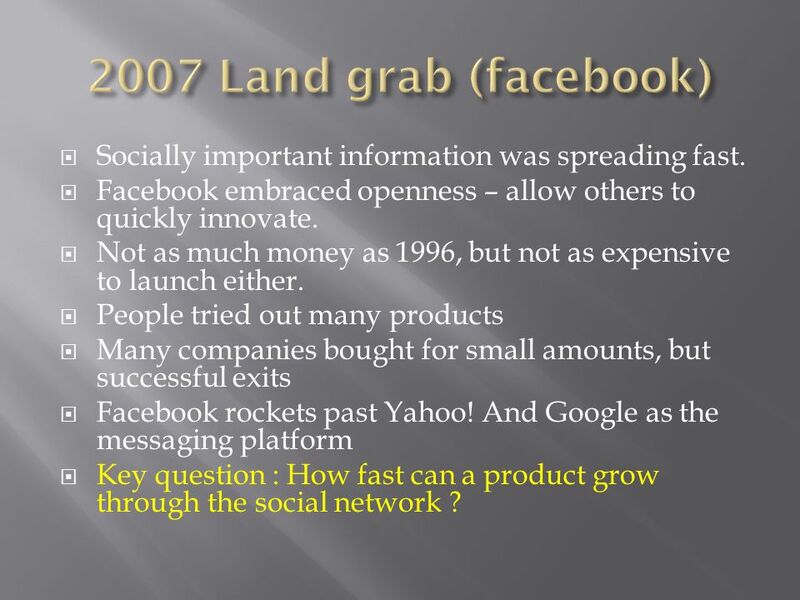 14 2007 Land grab (facebook) Socially important information was spreading fast. Facebook embraced openness – allow others to quickly innovate. 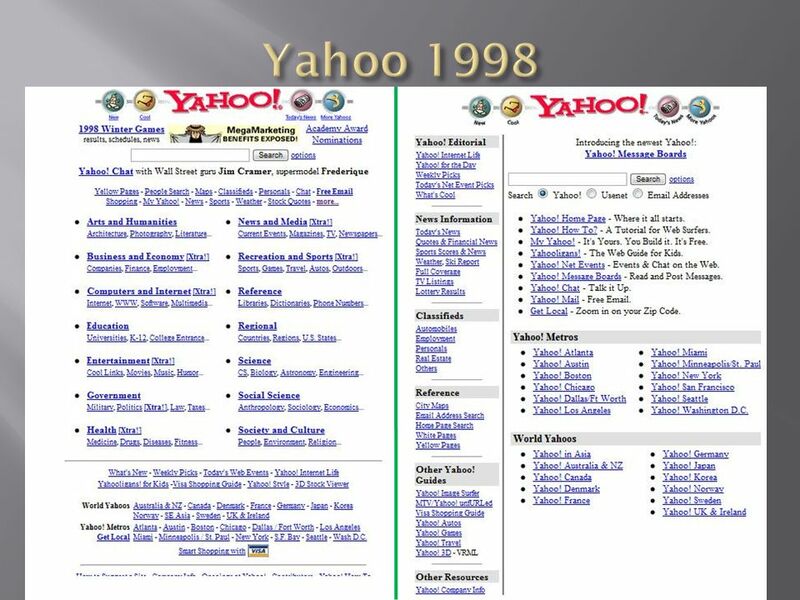 Not as much money as 1996, but not as expensive to launch either. People tried out many products Many companies bought for small amounts, but successful exits Facebook rockets past Yahoo! 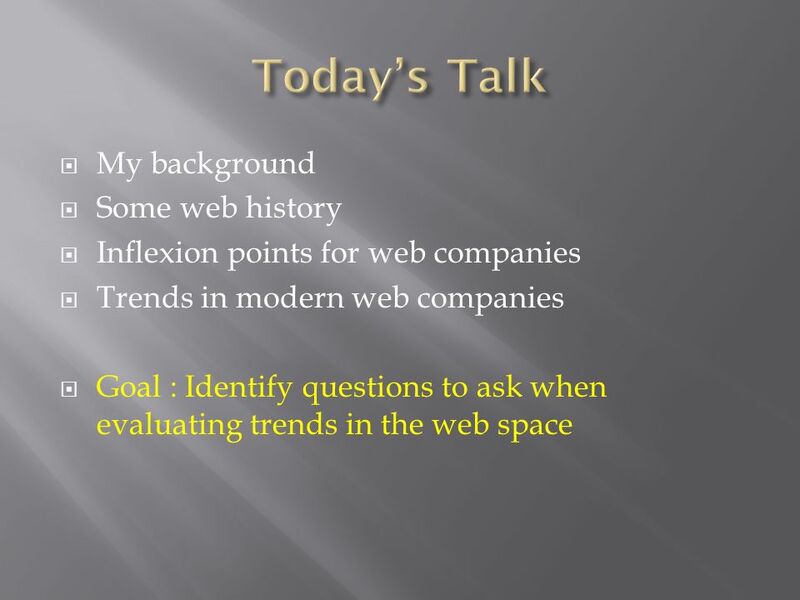 And Google as the messaging platform Key question : How fast can a product grow through the social network ? End users become discriminating in the new universe Features become important. Companies and products that offer these features get gobbled up. 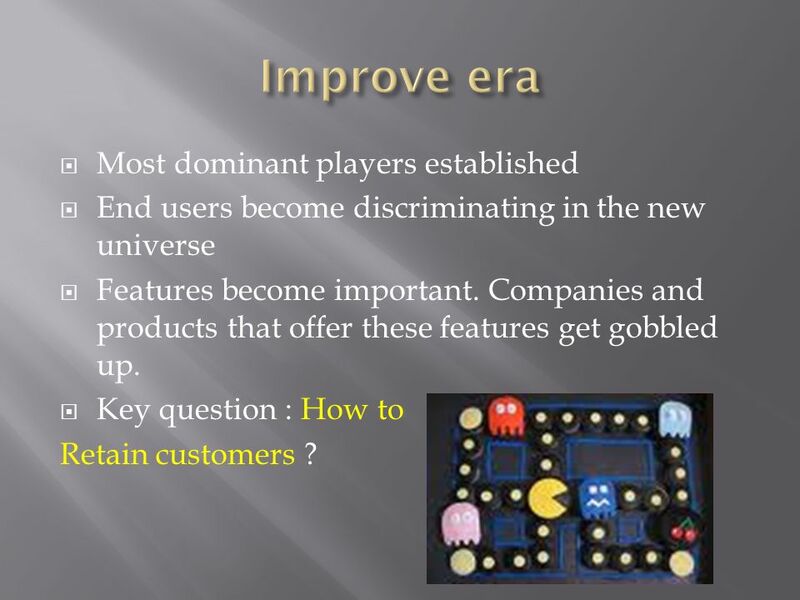 Key question : How to Retain customers ? 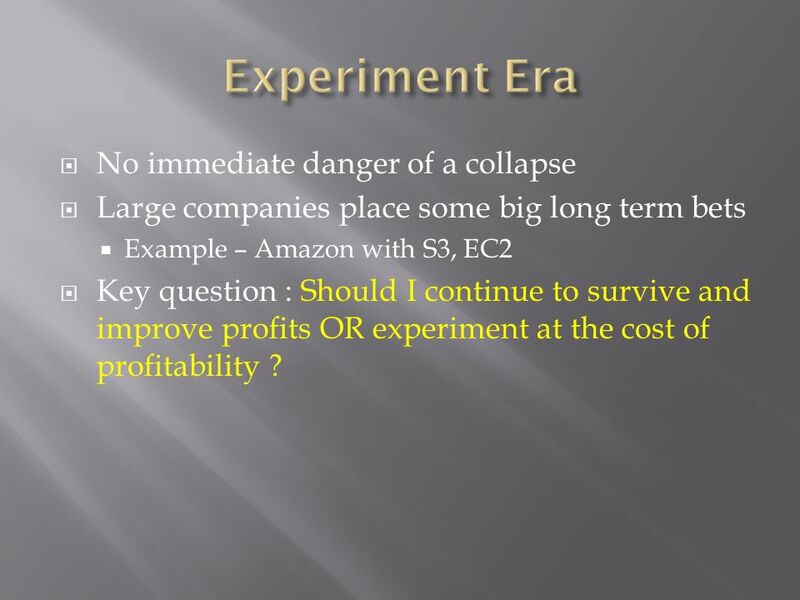 Large companies place some big long term bets Example – Amazon with S3, EC2 Key question : Should I continue to survive and improve profits OR experiment at the cost of profitability ? 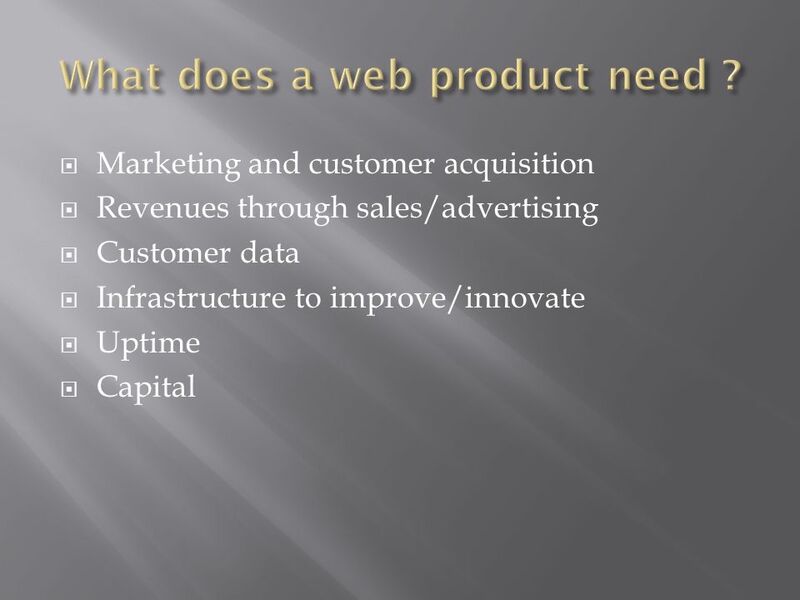 17 What does a web product need ? 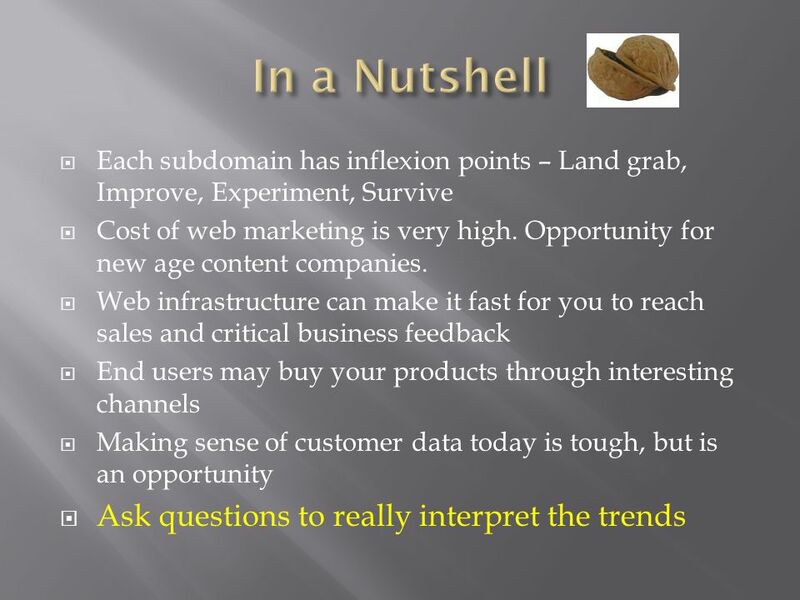 Search engine optimization is crucial Surprise – it may be cheaper to market offline ! 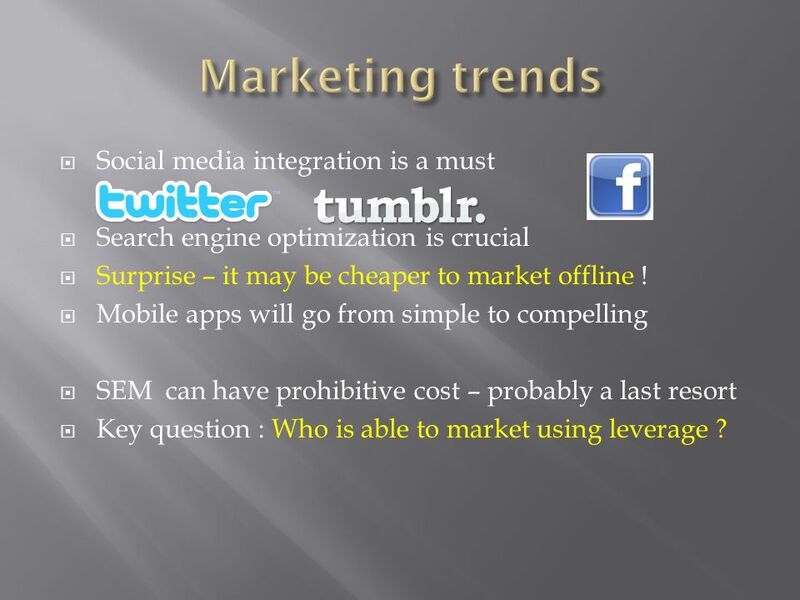 Mobile apps will go from simple to compelling SEM can have prohibitive cost – probably a last resort Key question : Who is able to market using leverage ? 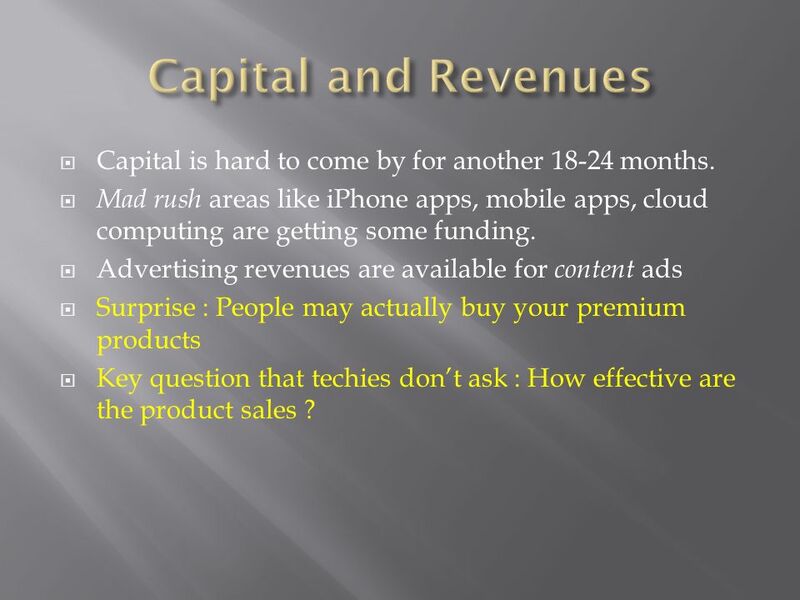 19 Capital and Revenues Capital is hard to come by for another months. 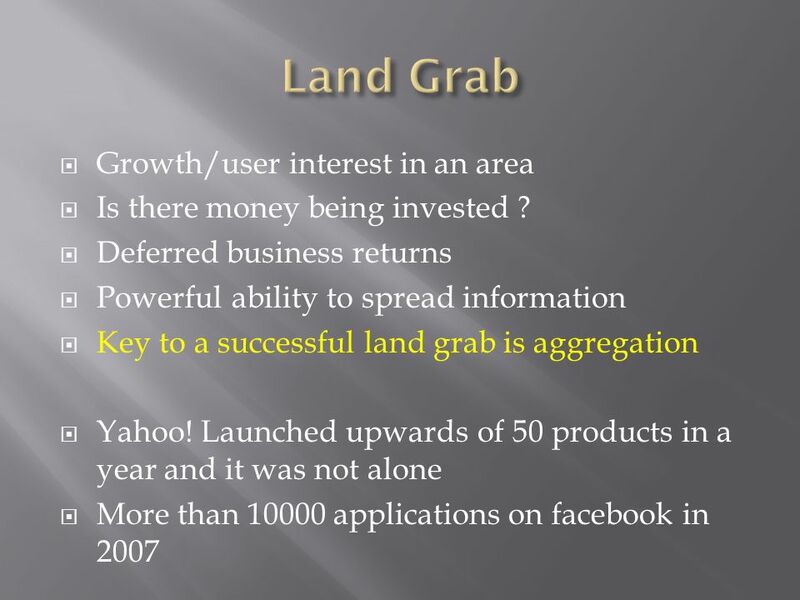 Mad rush areas like iPhone apps, mobile apps, cloud computing are getting some funding. Advertising revenues are available for content ads Surprise : People may actually buy your premium products Key question that techies don’t ask : How effective are the product sales ? 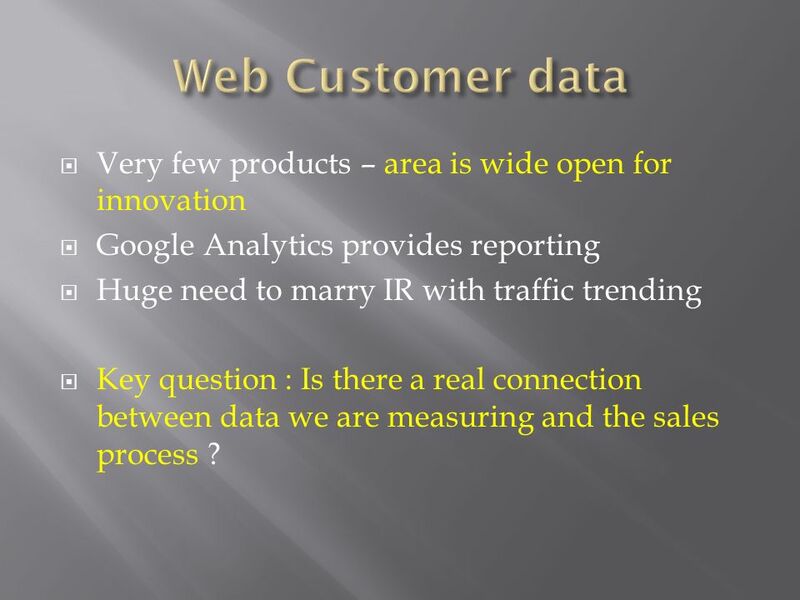 Google Analytics provides reporting Huge need to marry IR with traffic trending Key question : Is there a real connection between data we are measuring and the sales process ? 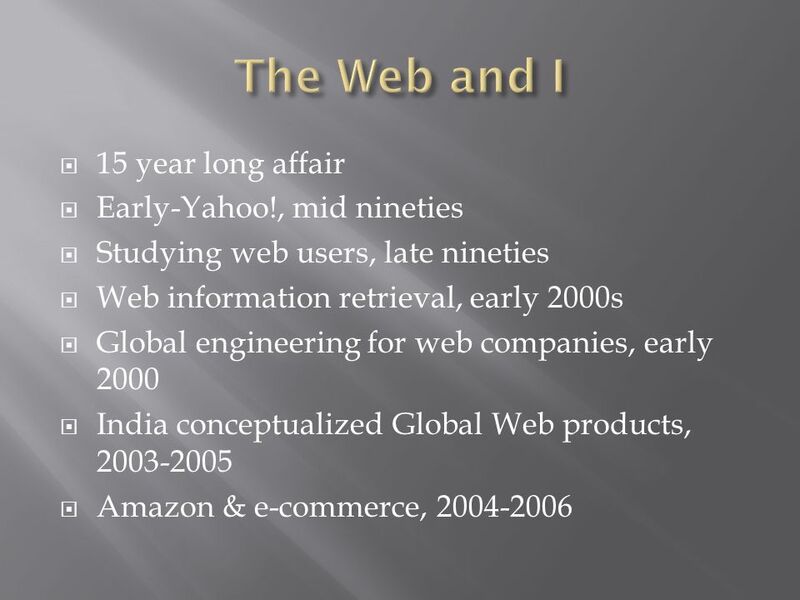 Information source is now the web. 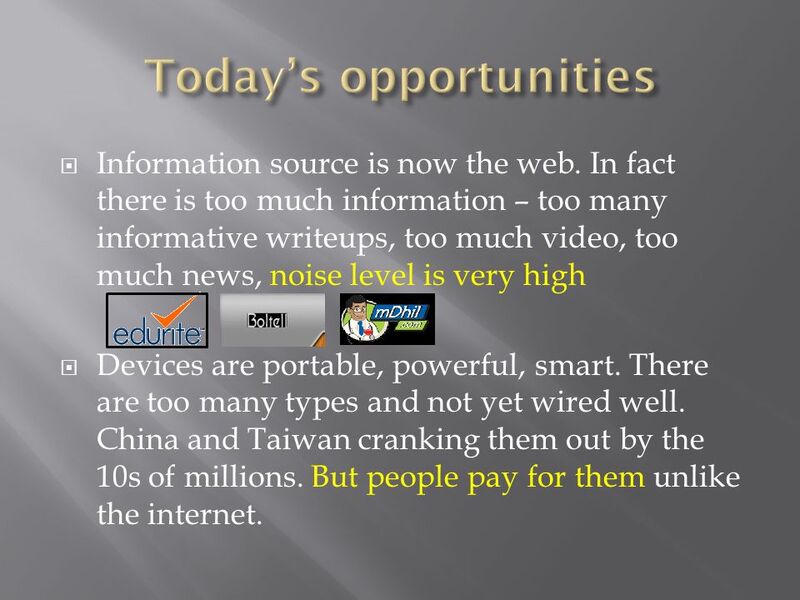 In fact there is too much information – too many informative writeups, too much video, too much news, noise level is very high Devices are portable, powerful, smart. There are too many types and not yet wired well. China and Taiwan cranking them out by the 10s of millions. But people pay for them unlike the internet. 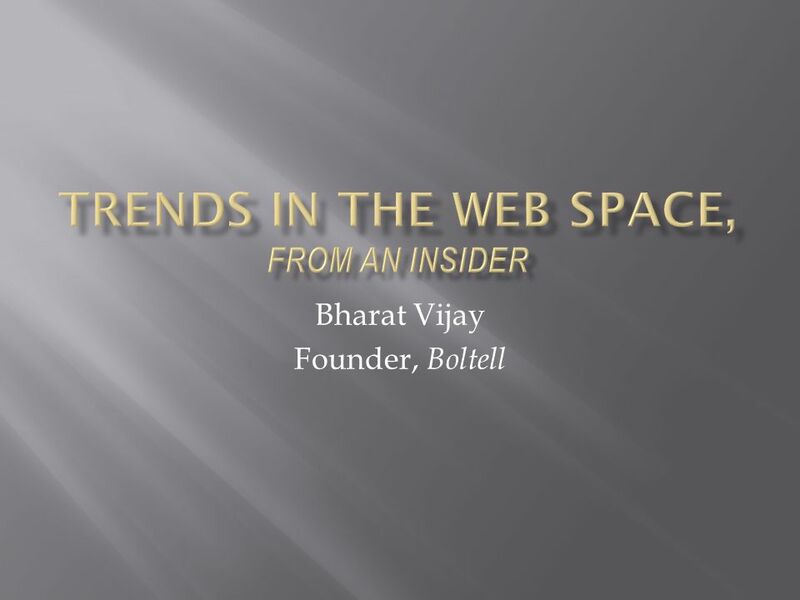 Download ppt "Trends in the Web Space, from an insider"
Basant Narayan Singh Techno-Pulse A Beginner’s Guide. Mobility Speed Anywhere Anytime By 2009 in the U.S. alone, wireless service revenue will surpass wireline service revenue for the first time. 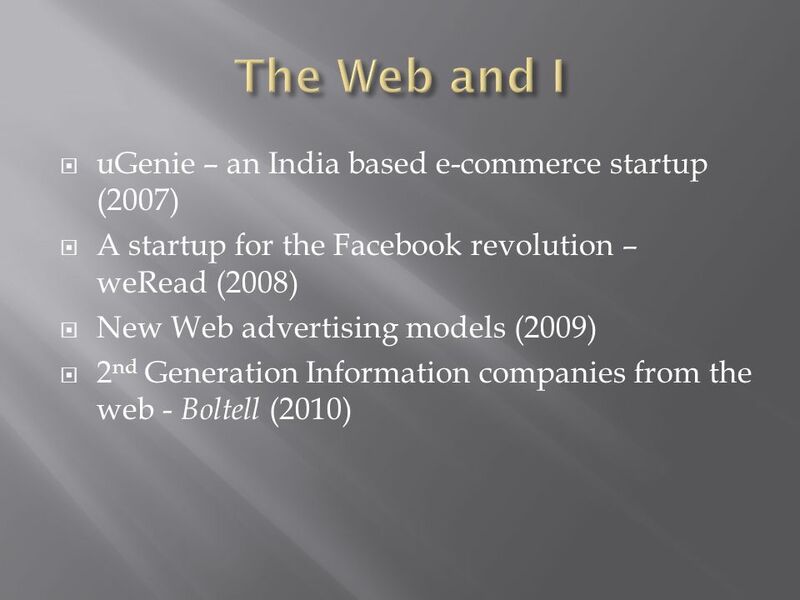 E-Commerce: The Revolution Chapter 1 Electronic Commerce Course BADM 561, Dr. Cara Peters. Unparalleled marketing. Superior results.. Coldwell Banker Village Green Realty has always been on the cutting edge. 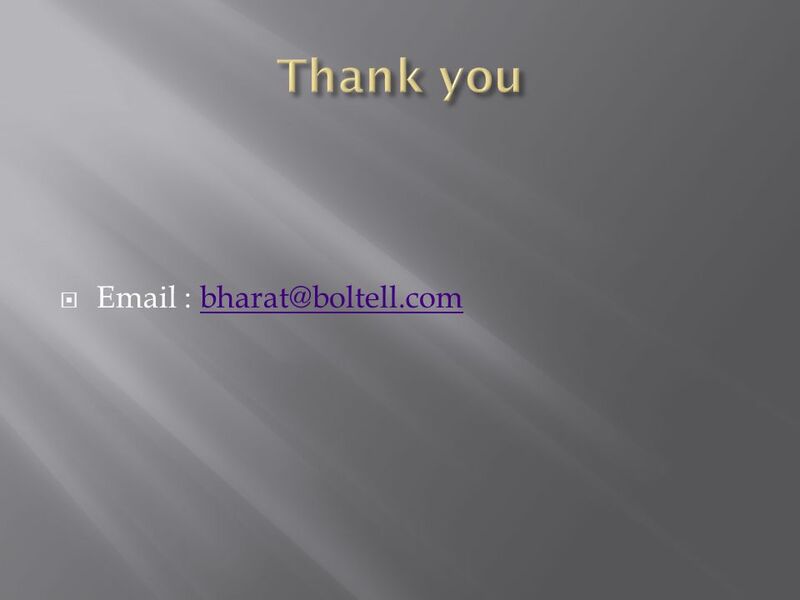 We were the first company in our. TechnoloyPlus Insightful Training On Using Emerging Internet Technology & Media Effectively For Business Success & Hotel Success. 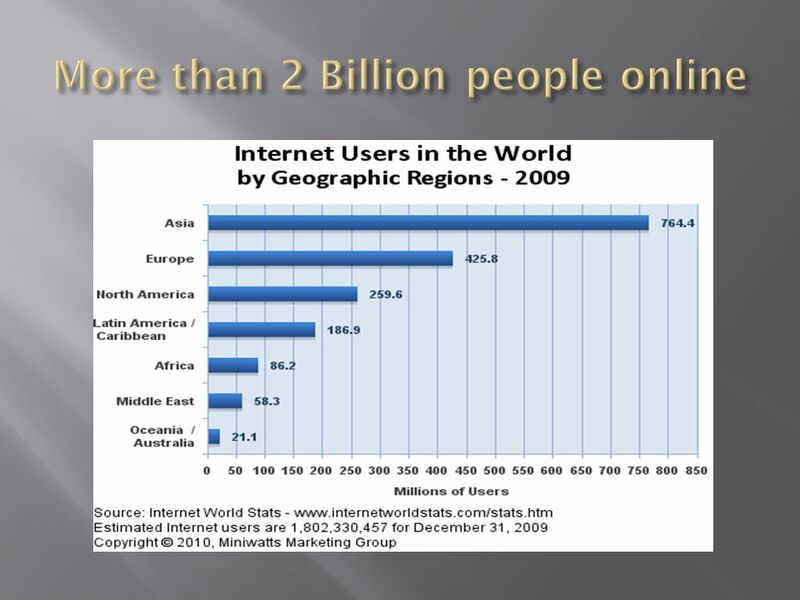 Over 60% of the U.S. population is online with over 170 million users in the United States! 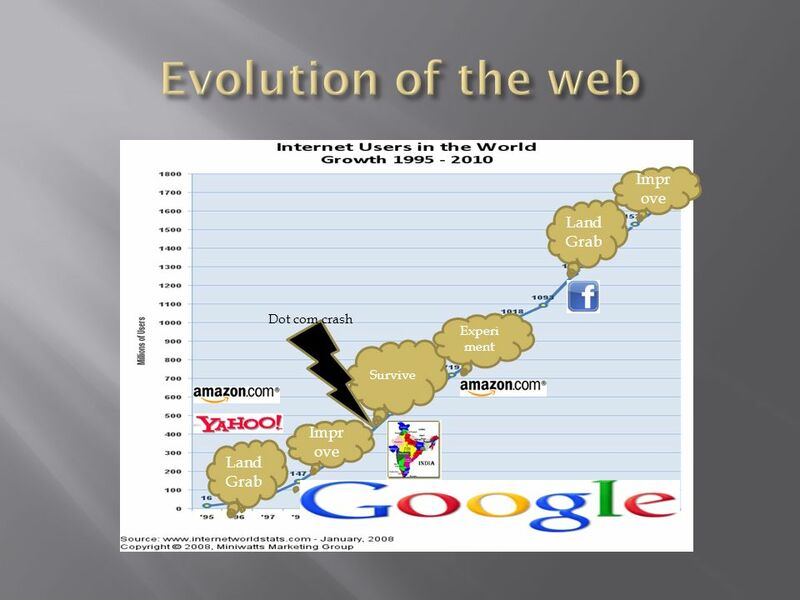 The Internet is viewed more than the newspaper industry and. 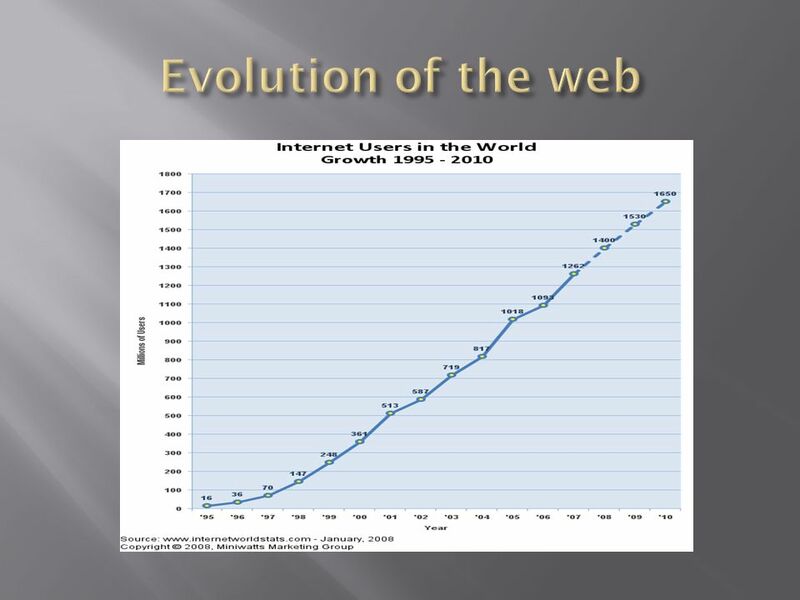 The Mobile Web The Next Great Opportunity. Why It’s So Huge Mobile web usage has grown 100%+ for each of the past 5 years - faster than any previous rate. 25 Need-to-Know Facts. Fact 1 Every 2 days we create as much information as we did from the beginning of time until 2003 [Source]Source © 2014 Bernard.